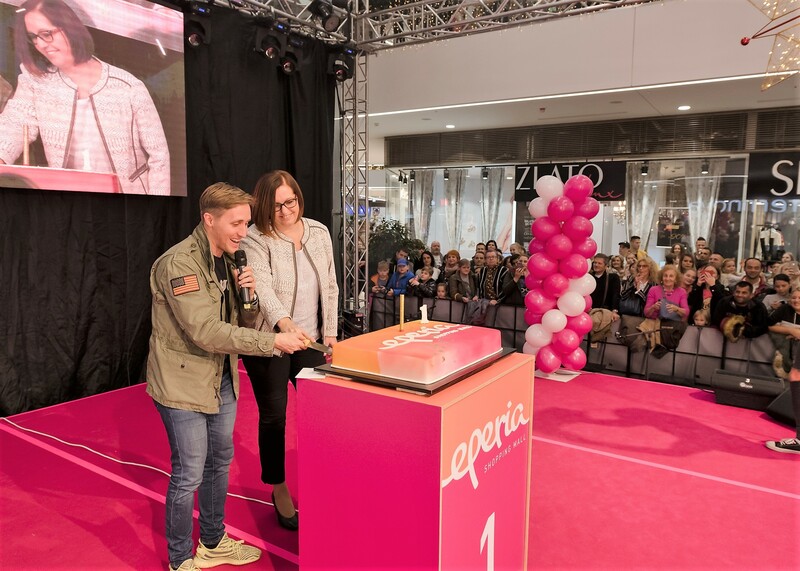 Prešov’s EPERIA Shopping Mall has enjoyed a successful first year. This modern regional shopping centre with 21 970 m2 of rentable space in the Sekčov suburb’s retail zone has become the market-leader shopping destination in Prešov. In addition to the shopping experience, EPERIA has also hosted a variety of cultural, educational and sporting events over the past year, which perfectly complement the city's offer of activities. 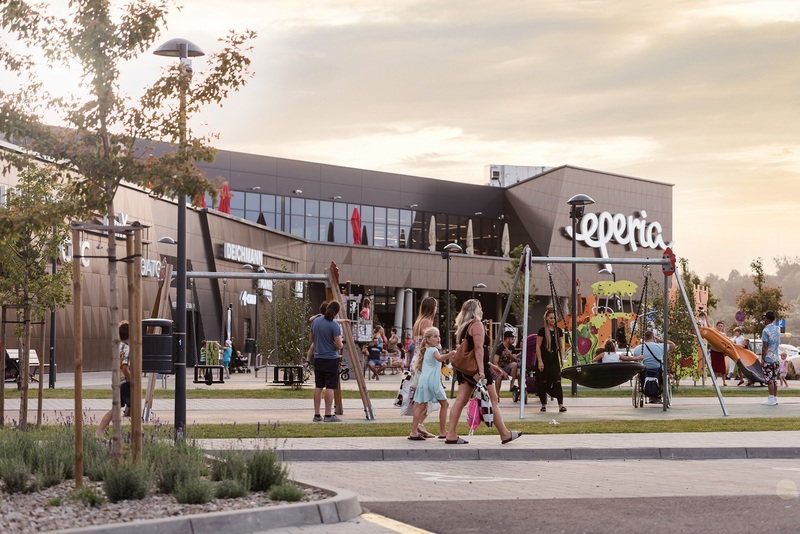 EPERIA’s position as the ideal place for shopping, and a cultural and social hub, confirms the steadily rising footfall of 3.5 million visitors and counting. Prešov’s 91 000 residents makes it the third-largest Slovak city, and EPERIA is the biggest shopping centre in the region. Its prime location has a catchment area of 330 000 people in north-east Slovakia. 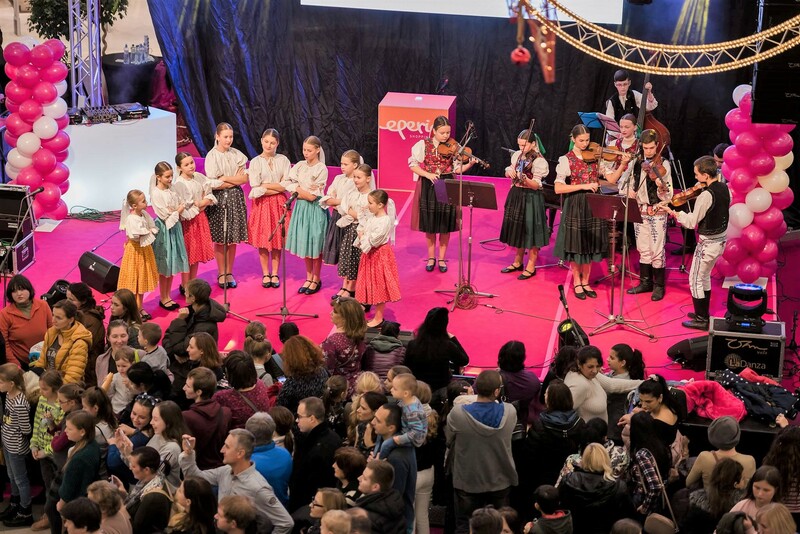 EPERIA has brought renowned brands to Prešov for the first time. “With EPERIA, we have brought to Prešov a regional retail centre with a distinctly local flavour and global design. The full regional retail centre shopping experience – an advantageous retail mix of brands and services that sought an opportunity to take advantage of the centre’s scalability. We’re delighted that after just one year, Prešov’s residents have already fulfilled our main goal – by making EPERIA “their” shopping centre,” said Peter Píš, Senior Director, Head of Leasing J&T REAL ESTATE. 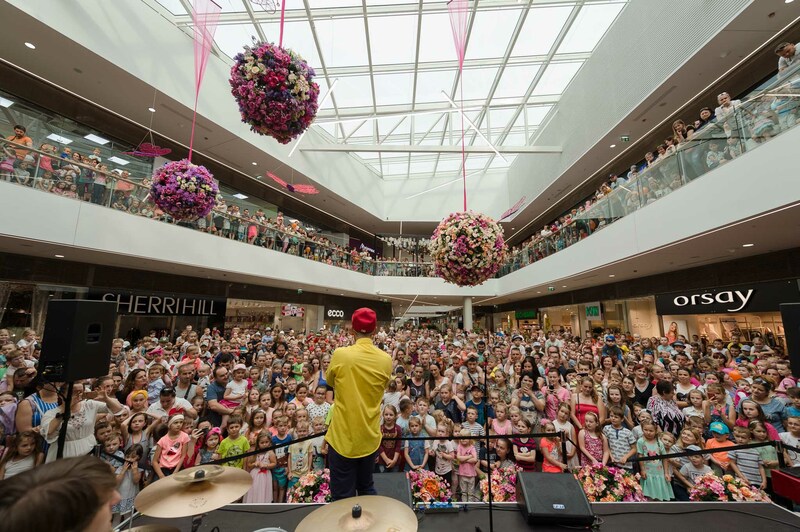 The shopping centre’s popular two-floor central atrium is the perfect place for cultural and public events, as well as family activities with kids. At the new Möbelix Business Zone - fully equipped with electrical connections and Wi-Fi - visitors can conveniently combine business meetings with shopping pleasure, and quickly recharge mobile phones and notebooks. In warmer months, the summer terrace is a popular place to meet and relax. The successful first year has confirmed the investor’s plans to extend the centre. The second phase will bring a further 10 000 m2, 200 extra parking spaces, and the shopping mall’s own bus stop. “We’re pleased that the second phase will give even more brands the opportunity to come to Prešov. Upon completion, EPERIA will be one of the leading regional shopping centres in Slovakia. Our plan includes a fitness centre, a major international fashion brand as well as other well-known local and international brands, a cinema, and we’re also negotiating with a drive-in fast food outlet,” added Píš. The second phase is planned to open on the centre’s third anniversary – in autumn 2020. EPERIA’s planned extension will be complemented by other nearby commercial constructions. The Sekčov Zone – which is Prešov’s primary shopping destination – is set to expand with the addition of a major retailer supplying furniture and hobby needs. EPERIA has already redefined benchmarks in numerous areas. Emphasis was placed on transport and mobility solutions: the centre's entrances optimise pedestrian flow from parking areas, as well as paths and cycling routes. EPERIA is barrier-free and has centre-wide free Wi-Fi. EPERIA is the first building in Prešov - and the first shopping centre outside Bratislava - to be awarded the BREEAM sustainability certificate. As well as being eco-friendly, EPERIA also has charging stations for up to four e-cars, and the centre supports environmental biodiversity, including beehives, insect hotels, and nests for birds and bats. EPERIA’s high build quality was recognised at the twenty-third BUILDING OF THE YEAR (2017) competition were it received a prestigious award from the Association of Construction Entrepreneurs of Slovakia. The expert jury, including international members, noted the building’s technical solution and construction, the application of progressive and innovative technologies, and the fine-tuned details. EPERIA is the ideal place for shopping and cultural-social activities as demonstrated by the steady growth of visitor numbers – over three million since opening. EPERIA provides Prešov with almost 100 shops and renowned fashion brands such as H&M, C&A, Lindex, New Yorker, Guess and PEPE Jeans, A3 Sport, ECCO, EXIsport, and CCC. 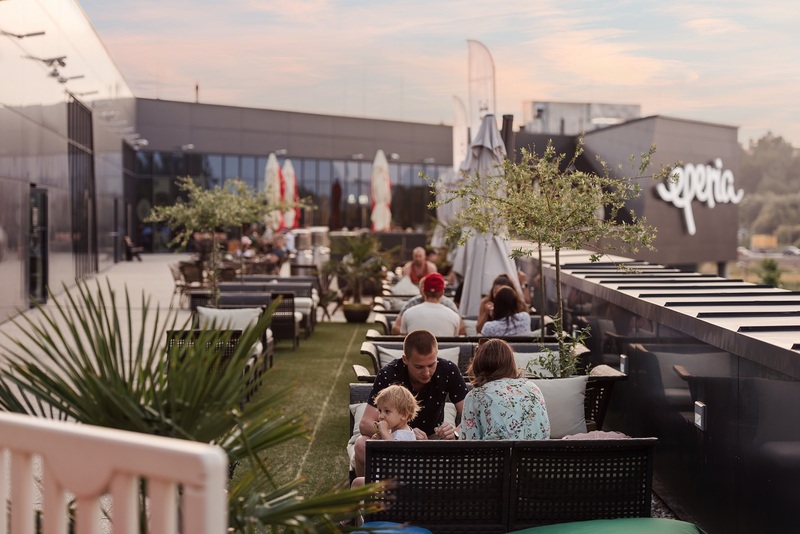 There’s also a new concept, Fresh Supermarket, and a number of eating and drinking options, including Café Dias, La Cubanita, Sedliacky dvor, and the completely new Šariš Pub restaurant concept. Visitors also have mobile operators such as Telekom, Orange and O2 conveniently on hand, as well as Slovenská sporiteľna, Tatra banka and Poštová banka financial services. In January 2019, Slovak Post will open a branch and on its first anniversary the centre welcomed attractive brands such as Tchibo, Protetika, Flying Tiger Copenhagen and Betty Barclay. The shopping centre also features an outside kids’ play area - one of the most-popular in Prešov. The healthy cooperation between EPERIA and local government has been demonstrated by FitPark Prešov in the Sekčov suburb: the city identified a suitable outdoor space for recreation - and EPERIA paid for a workout zone for local residents’ active leisure.